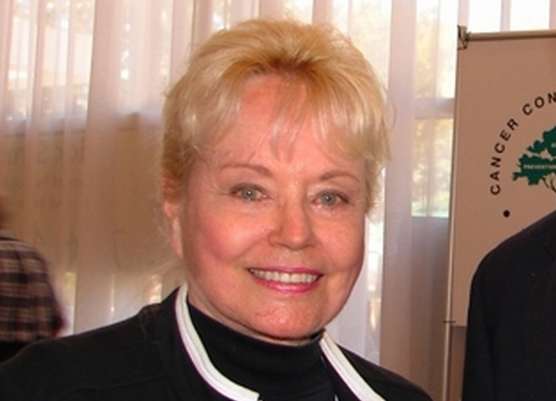 There are several things that can be said of Dr. Lorraine Day, not the least of which is that she, as a woman, contrary to Scriptural Counsel and God’s Authority, assumes authority over men in her teaching and preaching occupation in the context of the Body of Christ (see Diabolical Doctrines: Women are Ministers of God in Spiritual Authority Over Men). Day also subtly relies on her medical credentials to influence her followers spiritually. This is an authority of this world not to be found in the work of the Kingdom of God. However, this paper focuses on a matter of particularly serious concern, the confusion and deception about the nation of Israel and the Jews of this world. (1) And the LORD said to Abram, Go out of your country, and from your kindred, and from your father’s house into a land that I will show you. (2) And I will make you a great nation. And I will bless you and make your name great. And you shall be a blessing. (3) And I will bless those that bless you and curse the one who curses you. And in you shall all families of the earth be blessed. Lorraine Day, like most false teachers, works a particularly deceptive mixture of Truth and falsehood. Such is The Nature of Deception, a mixture that appears true to those who do not have THE Truth, Jesus Christ. May Day swiftly come to realize her error and unequivocally repent of it before all. Some examples of true things from Lorraine Day’s website include the Reconciliation of All Things, the true nature of Christianity having a foundation on our relationship with Christ and not in organized religion, and that the Truth should be preached without compromise. Some of the most glaringly obvious falsehoods Day preaches revolve around her anti-Israel stance and conspiracy theory rhetoric. So, God plays no favorites, Lorraine? Nowhere in the New Testament or otherwise do we see a suggestion that the Lord would permanently cast aside the Israelites/Jews. Instead, in numerous places in Scripture through His prophets and apostles, we see the Lord promise He will restore and reconcile Israel, despite their iniquity. (23) Foreign nations will realize that the Israelites were forced to leave their own land because they sinned against Me. I turned My back on My people and let enemies attack and kill them. (24) Their lives were wicked and corrupt, and they deserved to be punished. (25) Now I will show mercy to the people of Israel and bring them back from the nations where they are living. They are Jacob’s descendants, so I will bless them and show that I am holy. (26) They will live safely in their own land but will be ashamed when they remember their evil ways and how they disgraced Me. (27) Foreign nations will watch as I take the Israelites from enemy lands and bring them back home, and those nations will see that I am holy. (28) My people will realize that I, the LORD their God, sent them away as prisoners and now will bring them back to their own land. (29) Never again will I turn My back on the people of Israel, and My Spirit will live in them. I, the LORD, have spoken. The Lord made an example of Israel by scattering them, not only because of their iniquity and murder of Jesus Christ, but also for the sake of the Gentiles/Nations, so that they may also be reconciled to the Lord through Jesus Christ. (25) For I do not want you to be ignorant of this mystery, brothers, lest you should be wise within yourselves; that blindness in part has happened to Israel, until the fullness of the nations has come in. (26) And so all Israel shall be saved; as it is written, “There shall come out of Zion the Deliverer, and He will turn away ungodliness from Jacob. (28) Indeed as regards the Gospel, they are enemies for your sakes. But as regards the election, they are beloved for the Fathers’ sakes. What do anti-Zionists/anti-Israel teachers like Lorraine Day do with these Scriptures? The Lord said by Paul that all of Israel will be saved! Yet Day declares they are not God’s chosen people and not only that, but she declares emphatically the Jews that inhabit the land are imposters. Never mind that the Khazar myth has been dispelled and disproven for over a century now, never mind speculation, bloodlines, and physical heritage; where is Day’s substance and evidence for this statement? Where are her Godly witnesses? How does she reconcile what she says with the Scriptures that promise Israel will be saved? What does Day do with Paul’s assertion that the Israelites are beloved for the fathers’ sakes? Has Day not witnessed the miracles the Lord has done in this day – raising up a nation 1900 years dead, completely revived; their culture, their language, their land, their people all gathered back to where it began, the very land God promised the fathers of our faith? How many wars has modern-day Israel fought and won against all odds, coming against all the surrounding nations trying to snuff her out? Even today as I write, in April 2018, the world reviles and conspires against Israel, claiming they are perpetrators, fiends, colonialists and villains, yet still, Israel persists, thrives, and grows stronger each day. It’s nothing short of a miracle! The land laying desolate for many centuries has recently turned to a well-watered garden, a blossoming terrain in more ways than one, even as the Hebrew prophets proclaimed would be. So where is Lorraine coming from, you must ask. And how does Day reason away the Jews’ legitimacy and Israel’s legitimate and miraculous rebirth? While convincing and presented quite emphatically, Day’s claims are built on a shaky foundation of conspiracy theories, conjecture, speculation, and rumor – in short, man’s opinions which are invariably contrary to God. Day’s website also talks about the New World Order and the “Illuminati.” According to her writings, all Jews today are part of some grand conspiracy where the Illuminati are trying to establish a New World Order, successfully pulling the wool over billions of people’s eyes. There is no reason to credit final power to men of renown, power, wealth, and social status, especially if one is a believer. Men of power are still men all the same: frail, weak, and powerless in the sight of the Lord. Did not the Hebrew prophets declare the Jews would be retrieved while in unbelief from the far ends of the earth? And what if the Jews are guilty of such things? Besides, what man or nation isn’t guilty before God? (1) Why do the nations rage, and the peoples meditate on a vain thing? (3) Let us break their bands in two and cast away their cords from us. (4) He who sits in the heavens shall laugh; the LORD shall mock at them. (5) Then He shall speak to them in His anger, and trouble them in His wrath. (6) Yea, I have set My king on My holy hill, on Zion. (7) I will declare the decree of the LORD. He has said to Me, You are My Son; today I have begotten You. (8) Ask of Me, and I shall give the nations for Your inheritance; and the uttermost parts of the earth for Your possession. (9) You shall break them with a rod of iron; You shall dash them in pieces like a potter’s vessel. Yet Day sounds an alarm, as if to suggest the Lord doesn’t see each man’s heart, as if the Lord is powerless to strike dead all who oppose Him, as if He isn’t in full control. The Lord is Sovereign! The Kingdom of God reigns supreme! All who give credence to conspiracy theories and musings of the Illuminati are not only giving these men the credit and power they think to have and take by force, they are guilty of not trusting in the Lord. Simply put, by preaching conspiracy theories as Truth, Day encourages unbelief. Consider David and Goliath. David was not a mighty warrior, and Goliath was feared by all the men of Israel. Yet David’s faith in God caused Him to prevail; Goliath’s pride caused him to fall by the hand of a shepherd. See how the spiritual triumphs over the physical with ease, as David over Goliath. By believing in lies, one surrenders their own power to the lies they believe. By believing in the Truth, the Truth empowers the believer to overcome any who might oppose them, including giants and men of renown. That’s the way it is: the Truth is unshakable, invincible. Read What about the Illuminati? Lorraine Day has fallen prey to Satan’s temptation to eat from the Tree of Knowledge. And, indeed, Day’s website is overflowing with knowledge that promises to enlighten man and show the way. But not for free. While Day writes “When TRUTH is told here, it is told without compromise. You will notice that this web site has no advertisers and does not solicit donations, two situations that tend to compromise any Truth-teller,” she only offers a small taste of whatever “truth” she claims to possess and charges for the rest, via Book, DVD, and Video sales. No man (or woman) of God will compromise the Gospel, the Truth, the Way, by offering it only for a price. This a sure sign that Day is a false teacher, a true mark of a cult leader. What does Day propose to do in the way of salvation regarding this knowledge for sale? Searching her website, she writes a lot of content identifying villains and enemies (namely the Jews), but I see little content suggesting solutions. Day seems to suggest that knowledge is enough, yet in all her knowledge, she offers no tangible, realistic solution for the gargantuan problems she declares are at hand. So is the way of all those who preach conspiracies. Another true mark of a cult one finds, Day possesses an overall lack of reason and practicality. Some examples of impracticality or irrationality include holocaust denial, a high regard for the Khazar theory, and a plethora of conspiracy theories ranging from 9/11 to the Sandy Hook shooting. Without delving deeply into Day’s beliefs and article, where’s the Reality? If you follow Day’s reasoning right to the end, where does it get you? From her viewpoint, one can conclude the whole world is utterly mad, that there’s nothing and no one to be trusted, that everything is a lie, and we’re all doomed lest the Second Coming happen quickly (http://www.goodnewsaboutgod.com/jesuscoming.htm). Day’s teachings remove the onus from the believer to act, despite if she might say otherwise. They completely remove the onus from the believer to trust in God. Follow Day’s reasoning to the end, and all you end up with is despair, paranoia, and an utter Hell on earth. How do we recognize a false teacher unless it’s by their fruits? And what are Day’s fruits? She curses Israel and the Jews, which is not a fruit of a true believer in touch with the God of Israel. Mark what happened to Luther and Hitler, two false teachers who also cursed Israel and the Jews. Lorraine Day doesn’t eat from the Tree of Life, Who is the God of Israel, the Lord Jesus Christ, but instead eats from the same Tree as those she seeks to expose with her writings and website and videos.